Looking for singles? They're on Bandcamp! Check out "Boomtown", "Young Man's Game", "Billy Riley" (from the Valparaiso Men's Chorus) and the latest-- "Days To Go". 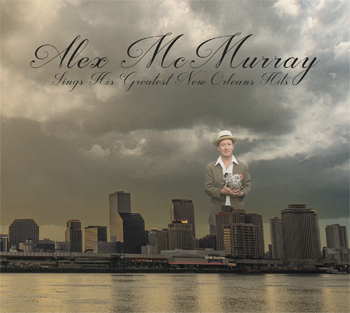 "...in recent years New Orleans has become a songwriters’ haven. 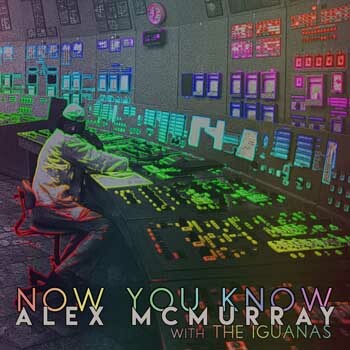 Alex McMurray is one of the prime movers of that renaissance, turning out a torrent of original material as both a solo singer-songwriter and a member of numerous local groups." New Single "Now You Know" available now! with America's own The Iguanas! I'm joined by The Iguanas on my latest tune, available on Bandcamp! Just click HERE to check it out! While you're at have a listen to my other singles "Num Num Charlie", "Halleloo" and "Ninth Ward Chickens"
And come out to Chickie Wah Wah on a Monday night sometime! Jazz Fest and French Quarter Fest Dates Announced! I'm pleased to announce that I've been selected to perform at the 2017 Jazz and Heritage Festival Friday April 28 at the Gentilly Stage. Set time TBA. 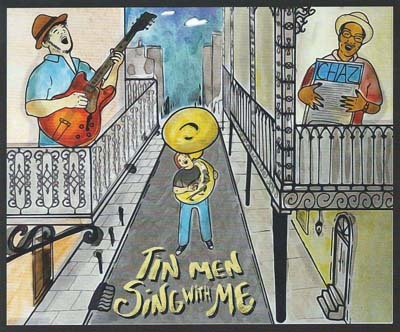 Also Tin Men April 30 at the Blues Tent and Debbie Davis and the Mesmerizers May 6 in the Economy Hall tent. 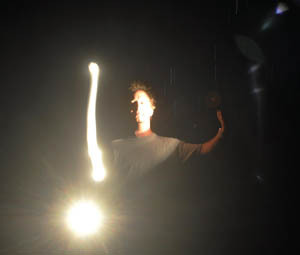 I'll also be with Pat McLaughlin's New Orleans Outfit on Saturday April 29 at the Lagniappe Stage. I'll be with all those bands and then some at the French Quarter Fest this year. Tin Men and Debbie Davis and the Mesmerizers both play on April 7, Alex McMurray and Band Saturday April 8 and Paul Sanchez on Sunday April 9. Come on out for New Orleans' biggest free music festival! 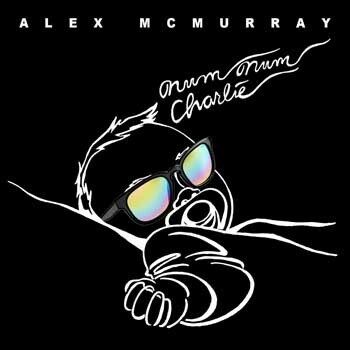 New Single "Num Num Charlie" Out Now! And now some light fare for these freewheeling times. 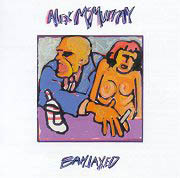 "Num Num Charlie" is now available on Bandcamp in any file format you prefer. All three recent singles are right there for easy picking. "Ninth Ward Chickens" and "Halleloo" are up on itunes if that is what you're into. And the "Ninth Ward Chickens" are still looking for a place to roost. Give the bird a boost! Ninth Ward Chickens now is on itunes! Head on over to itunes and pick up "Ninth Ward Chickens" right here. 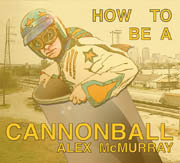 Still available on Bandcamp! Check it out! Get Your Ninth Ward Chicken Here! 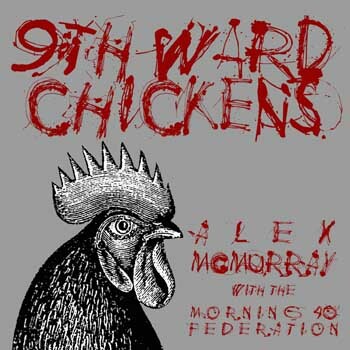 Hey my new single "Ninth Ward Chicken", recorded with the Morning Forty Federation right here in the 9th Ward is available RIGHT HERE! World Premiere "Ninth Ward Chickens"
Hey my new tune "Ninth Ward Chickens" will be having its world premiere TODAY (9/14/16) on George Ingmire's show on WWOZ at 12:30. The song features sterling performances by the Morning 40 Federation and was recorded right here in 9th Ward chicken country...the song will be download-able soon on Bandcamp and Itunes...details to follow! 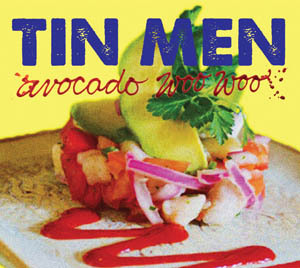 Tin Men are back on Wednesday nights at DBA! Check out America's premier Sousaphone/Washboard/Guitar trio every Wednesday night at 7pm. Dear friends of Chazfest. The Powers The Be at the Truck Farm have done some finagling and have worked it out so that Chazfest #10 2016 will take place on Wednesday April 27. Sorry for all the confusion. Tin Men will be in Livingston, MT for the Hoot Thursday Aug 13, In Casper, WY Aug 14 and at the Gold Hill Inn in Gold Hill, CO Saturday Aug 15. Tell a friend! Hey just got back in town and got the new dates up on the site. More to come. 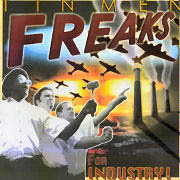 Tin Men are heading out west in August! Check out the Shows Page. 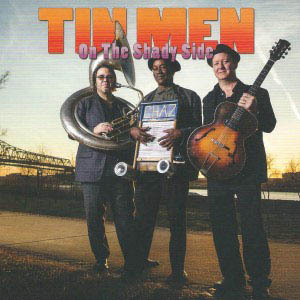 Also Tin men have a new CD "On The Shady Side". Release extravaganza Sept 23 at DBA 7-9! Hey I'll be performing at a thing called Milo's Music Parlor at 6:30 next Tuesday at Tasseology 1228 Oretha Castle Haley Boulevard NOLA. They do this pre-interview. I guess so they know what to ask on the show. Here's the Q&A. I case you were wondering and, hey, it's content! 1. How long have you been in New Orleans and where are you from? Been here since August 1987. I can't do the math. 28 years? I was born and raised in Red Bank, New Jersey, in the house my father only moved of very recently. 2. What drew you to New Orleans? or Why New Orleans?